Please read these terms and conditions carefully because they significantly alter your legal rights, remedies and obligations. 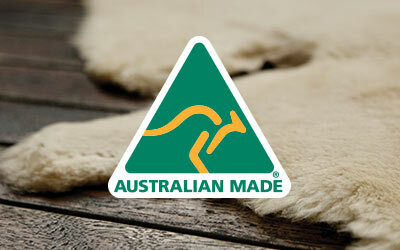 The website at [www.emuaustralia.com] (the “Website”) is operated by EMU Australia (Canada) Limited (the “Company”). For any questions please contact our customer call centre via email at onlinesupport_usa@emuaustralia.com or by telephone on +1 844 249 9076. References to "we", "us", "our" and "EMU"; in these terms refers to the Company. (b) The terms and conditions upon which you may use the Website. Please ensure that you read these terms and conditions of sale and use (the “Terms”) carefully before you purchase a Product or start to use the Website. By purchasing a Product and/or using our Website, you indicate that you accept the Terms and that you agree to abide by them without limitation or qualification. If you do not agree to the terms, please refrain from purchasing any products or using our website. Any sale of Products via the Website will be on the basis of these Terms. You may wish to print a copy of these Terms and retain them for your records. This Website is only intended for use by people resident in Canada. (d) accessing the Website from Canada. After placing an order you will receive an email from us acknowledging that we have received your order (“Order Acknowledgement”). This does not mean that you order has been accepted. Your order constitutes an offer to us to buy a Product. All orders are subject to acceptance by us and we will confirm such acceptance to you by sending you an email that confirms that the Product has been dispatched (“Dispatch Confirmation”). The contract (“Contract”) between us will only be formed when we send you the Dispatch Confirmation and will only relate to those Products for which dispatch has been confirmed in the Dispatch Confirmation. We will not be obliged to supply any other Products which may have been part of your order until the dispatch of such Products has been confirmed in a separate Dispatch Confirmation. You should check all emails, including the Order Acknowledgement and the Dispatch Confirmation, and ensure that the details in such emails are correct. (d) You not meeting the eligibility criteria set out in these Terms. If you are contracting as a consumer, you have the right to cancel a Contract within certain periods if we do not comply with the applicable consumer protection legislation. To exercise the cancellation right, you must inform us ([Emu Australia]) of your decision to withdraw from this contract by an unequivocal statement (e.g. a letter sent by post, fax or e-mail) within the applicable cancellation period. This letter should be sent by email to onlinesupport_usa@emuaustralia.com. You can also phone us to inform us of this at +1 844 249 9076. Once one of our customer service team members receives your email they will contact you with the relevant information on where to send your Products. You must send back the Products to us unused and in the same condition as delivered with the appropriate purchasing documentation, without undue delay, and in any event not later than 15 days from the later of (i) the day on which you communicate your cancellation from this Contract or (ii) the day the Products were delivered to you. The deadline is met if you send back the Products before the period of 15 days has expired. In addition to your right to cancel, you can return unwashed and unworn Products bought on this Website by mail within 30 days of your order date. Please send back your Products in to us in their original condition and unworn condition, in the original packaging with all tags still attached with the appropriate purchasing documentation. Failure to do this may result in delays in processing any exchange or refund. All costs associated with the return of goods are the sole responsibility of the customer except in the case that the Product is defective. If you cancel this Contract, we shall reimburse to you all payments received from you, including the costs of delivery. We may make a deduction from the reimbursement for loss in the value of any goods supplied, if the loss is the result of unnecessary handling by you. We will make the reimbursement without undue delay and in any event not later than 15 days from the day on which we are informed about your decision to withdraw from this contract. We will make the reimbursement using the same means of payment as you used for the initial transaction, unless you have expressly agreed otherwise; in any event, you will not incur any fees as a result of such reimbursement. If you return a Product for any other reason under section 7 above, we shall examine the Product and notify you of your refund via email or exchange within a reasonable period. Refunds or exchanges will be processed within  days of the day you inform us that you wish to return the Product. Products returned as a result of a defect with be refunded in full, including delivery charges for sending them to you and the cost incurred by you in returning them to us. Delivery times may vary. However, we aim to delivery your Products within 2/7 business days to any given location. All deliveries can be tracked online and this tracking information will be sent to you once your Products have left our warehouse. 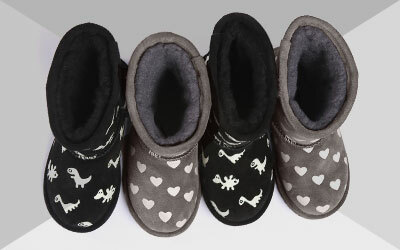 If you order multiple items, these may be dispatched in separate packages and may arrive at different times. If this occurs, please wait an extra day for the remaining Products to arrive before contacting EMU with a delivery enquiry. It is your responsibility to ensure correct delivery details are provided. We are not responsible for reshipping orders at our expense if incorrect details are provided. Delivery shall be completed when we deliver the Products to the address that you gave us and the Products will be your responsibility from that time. (b) you told us before we accepted your order that delivery within the delivery deadline was essential. If you do not wish to cancel your order straight away, or do not have the right to do so under paragraph 9.5, you can give us a new deadline for delivery, which must be reasonable, and you can cancel your order if we do not meet the new deadline. If you do choose to cancel your order for late delivery under paragraph 9.5 or paragraph 9.6, you can do so for just some of the Products or all of them, unless splitting them up would significantly reduce their value. If the Products have been delivered to you, you will have to return them to us or allow us to collect them, and we will pay the costs of this. After you cancel your order we will refund any sums you have paid to us for the cancelled Products and their delivery. The Products will be at your risk from the time of delivery. Ownership of the Products will only pass to you from the time of delivery. Risk in relation to Products being returned to us passes from you to us once you have posted the returned Products. The price of any Products will be as quoted on our Website in Canadian Dollars from time to time, except in cases of obvious error. The prices quoted on our Website do not include applicable taxes such as provincial sales tax or harmonized sales tax or the federal goods and services tax.. Applicable taxes will displayed when you are ordering Products, as well as in the Order Acknowledgement. Prices are liable to change at any time, but changes will not affect orders in respect of which we have already sent a Dispatch Confirmation. It is always possible that, despite our best efforts, some of the Products that we sell may be incorrectly priced. We will normally check prices as part of our despatch procedures so that, where the Products' correct price is less than our stated price, we will charge the lower amount when dispatching the Products to you. If the Products' correct price is higher than the price stated on our Website, we will either contact you for your instructions before shipping the Product or reject your order and notify you of such rejection. If the pricing error is obvious and unmistakeable and could have reasonably been recognised by you as a mispricing, we do not have to provide the Products to you at the incorrect (lower) price. You must make payment for Products in advance by credit or debit card. We will not credit or debit your card until we dispatch the Products to you. Products purchased from this Website are of satisfactory quality and reasonably fit for all the purposes for which products of the kind are commonly supplied. Subject to any specific warranties offered in relation to specific Products or those implied by law, we do not offer any guarantees or warranties in relation to the Product(s). We will not accept liability for a failure to comply with specific care instructions stated in the Product or within the Product’s packaging. The Website and its contents are provided “as is” and “as available” and without representations or warranties of any kind, express or implied. To the fullest extent permissible under applicable law, we disclaim all representation and warranties, whether express, implied or statutory (including any warranties of merchantability, fitness for a particular purpose, accuracy and non-infringement) regarding the Website and its contents. We do not represent or warrant that functions contained in the Website will be uninterrupted or error-free, that defects will be corrected, or that the Website or the server that makes it available is free of viruses or other harmful components. You acknowledge that your access to and use of the Website will not be free of interruptions, that the Website and its contents may contain bugs, errors, inaccuracies or other limitations, and that the Website may be unavailable from time to time. Except as expressly set out in these terms and conditions, you assume total responsibility and risk for your access to and use of the Website and its Contents. We are only liable for losses you suffer as a result of us breaching these Terms, which is strictly limited to the purchase price of the Product you purchased and any losses which are a foreseeable consequence of us breaching these Terms. Losses are foreseeable where they could be contemplated by you and us at the time your order is accepted by us. You hereby release us from all claims, actions, liabilities and damages of any kind relating to or arising from your access to and use of (or your inability to access and use) the Website or its contents. We will take all reasonable care, in so far it is in our power to do so, to keep the details of your order and payment secure, but in the absence of negligence on our part, we cannot be held liable for any loss you may suffer if a third party procures unauthorised access to any data you provide when accessing or ordering from the Website. As a consumer, you have legal rights in relation to the Products that are faulty or not as described. We are under a legal duty to supply Products that are in conformity with this Contract. Advice about your legal rights is available from your provincial consumer protection office. We will not be liable or responsible for any failure to perform, or delay in performance of, any of our obligations under the Contract that is caused by events outside our reasonable control (“Force Majeure Event”). Access to our Website is permitted on a temporary basis, and we reserve the right to withdraw, deny access to or modify the service we provide on our Website without notice (see below). We will not be liable if, for any reason, our Website is unavailable at any time or for any period. We are the owner or the licensee of all intellectual property rights in our Website, and in the material published on it. Those works are protected by copyright laws and treaties around the world. All such rights are reserved. You must not use any part of the materials on our Website for commercial purposes without obtaining a license to do so from us or our licensors. We reserve the right to monitor any such usage and take appropriate action against any person who we believe to be contravening our intellectual property rights. You may print off one copy, and may download extracts, of any page(s) from our Website for your personal (and non-commercial) reference. You must not modify the paper or digital copies of any materials you have printed off or downloaded in any way, and you must not use any illustrations, photographs, video or audio sequences or any graphics separately from any accompanying text. For the avoidance of doubt all proprietary notices, in particular intellectual property notices such as copyright ©, trademark, ™ and ® must be preserved and displayed intact. Our status (and that of any identified contributors) as the authors of material on our Website must always be acknowledged. We have taken every care in the preparation of the content of this Website. In particular, we have made every effort to display as accurately as possible the colours of our products that appear at the Website. We cannot guarantee that your computer monitor's display of any colour will be accurate. We therefore disclaim all liability and responsibility arising from any reliance placed on such materials by any visitor to our Website, or by anyone who may be informed of any of its contents. We make every effort to ensure that this Website is free from viruses or defects. However, we cannot guarantee that your use of this Website or any websites accessible through it won't cause damage to your computer. It is your responsibility to ensure that the right equipment is available to you in order to use the Website and screen out anything that may damage it. You must not misuse our Website by knowingly introducing viruses, trojans, worms, logic bombs or other material which may be malicious or technologically harmful. You must not attempt to gain unauthorised access to our Website, the server on which our Website is stored or any server, computer or database connected to our Website. You must not attack our Website in any manner whatsoever, including via a denial-of-service attack or a distributed denial-of service attack. We will report any such breach of these provisions to the relevant law enforcement authorities and we will co-operate with those authorities by disclosing your identity to them. In the event of such a breach, your right to use our Website will cease immediately. Applicable laws require that some of the information or communications we send to you should be in writing. When using the Website or ordering Products via the Website, you accept that communication with us will be mainly electronic. For contractual purposes, you agree to this electronic means of communication and you acknowledge that all contracts, notices, information and other communications that we provide to you electronically comply with any legal requirement that such communications be in writing. This condition does not affect your legal rights. If we do not insist upon strict performance of any of your obligations under the Contract or these Terms, or if we fail to exercise any of the rights or remedies to which we are entitled under the Contract, this shall not constitute a waiver of such rights or remedies and shall not relieve you from compliance with such obligations. No person other than a party to this Contract shall have any rights to enforce any term of this Contract. You may not transfer any of your rights or obligations under these Terms without our prior written consent. We may transfer any of our rights or obligations under these Terms without your prior written consent to any business that we enter into a joint venture with, purchase or are sold to. If any of these Terms or any provisions of the Contract are determined to be invalid, unlawful or unenforceable to any extent, such term, condition or provision will to that extent be severed from the remaining terms, conditions and provisions which will continue to be valid to the fullest extent permitted by law. These Terms and any document expressly referred to in them constitute the whole agreement between us and supersede any previous arrangement, understanding or agreement between us, relating to the subject matter of any Contract. We each acknowledge that, in entering into a Contract, neither of us relies on nor has any remedies in relation to, any statement, representation, assurance or warranty which is not expressly set out in these Terms and any document expressly referred to in them. Nothing in this paragraph shall limit or exclude any liability for fraud. You will be subject to the policies and Terms in force at the time that you order Products from us, unless any change to those policies or these Terms is required to be made by law or governmental authority (in which case it will apply to orders previously placed by you), or if we notify you of the change to those policies or these Terms and conditions before we send you the Dispatch Confirmation (in which case we have the right to assume that you have accepted the change to the Terms and conditions, unless you notify us to the contrary within seven working days of receipt by you of the Products). Except where prohibited by applicable law, contracts for the purchase of Products through our Website and any dispute or claim arising out of or in connection with them or their subject matter or formation (including non-contractual disputes or claims) or the use of this Website will be governed by the laws of British Columbia and the federal laws of Canada applicable in that jurisdiction. We retain the right to bring proceedings against you for breach of these provisions in your country of residence or any other relevant country. The parties have expressly agreed that this agreement and also ancillary agreements, documents or notices related thereto be drafted solely only in English. Les parties aux présentes ont expressément convenus que cet accord et tout autre convention, documents soit rédigé en anglais seulement.